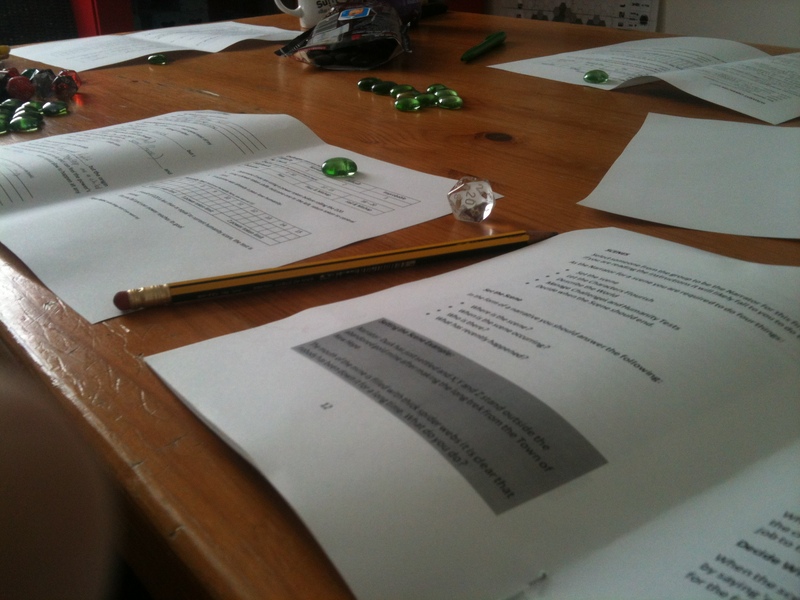 Finally got round to playtesting Argh! Who am I?! this week, you can read about the making of it here. Although the general feel and mechanics of the game was good there were some issues which need improving on. 1. The playtime was a little long for the type of game it is. This could be relatively easy to solve on it’s own, the answer would be to simply reduce the number cards in the play session. So instead of removing only 1 card at the beginning of the game, you could remove three. However, I feel there is more to this issue. 2. The fish-man was the least interesting character to talk about. This is likely because there is less popular culture about the fish-man monster when compared to vampires, werewolves, ghosts, etc. The answer is remove it, or find a replacement. Doing this would actually help neatly with issue 1. 3. It is difficult to keep coming up with interestingly differences between the characters. One issue might be the range of characters, in the first version of the game they are all classic monster tropes. This means all of them are already grouped by one sort of characterisation, removing the opportunity to explore. This could be resolved by increasing the number of groups in the set, i.e. sci-fi characters, fantasy characters, monsters, etc and reducing the number from each set. 4. Giving a true information, is very precise. Giving a false information is vague. If I ask am I round, and I know if you are lying or telling the truth, then I can deduce the truth relatively easily. However, this really reduces the number of questions which are usable, and the game is significantly reduced in terms of creativity and free thinking. This idea is part way to a potential solution but not the full answer. Each character card needs similarity with some of the other cards but not with all the other cards. Whilst thinking about these issues I came up with a few ideas for the game that I need to consider for a little bit before making the next version. Some of them should be easy to test, just by varying the rules. When you ask a question everyone else answers. Removes the need for a statement. Players with liar cards, can both lie and tell the truth. Add some chance for deviance, will depend on what the items are on the cards whether or not this is suitable. After a player is asked a question, they cannot be asked another question until everyone else has been asked. Removes the need to give a statement. Requires a neat way of keeping track of this. Have players create their own cards, i.e. the backs follow truth and lies but the characters / items are decided by the group who play. This adds another element of creativity to the game. The big question – what or who do I put on the cards? The main issue I need to consider is what it is that goes on the cards in the first place. Monsters was a quick idea I had and it worked well enough for the playtest, but I feel that this is the thing that needs changing, it’s also the most time consuming thing to do, both in thinking and time spent creating cards that are nice enough to play with. Thinking about the theme of the game might help, mechanically it’s about truth, lies and deduction, which sounds a little like a murder mystery. Perhaps you’re removing suspects, finding locations and looking for specific objects. Not sure how all this ties in with not being able to see what you’re holding, but their could be an answer somewhere. This entry was posted in Play, Practice and tagged argh who am i? 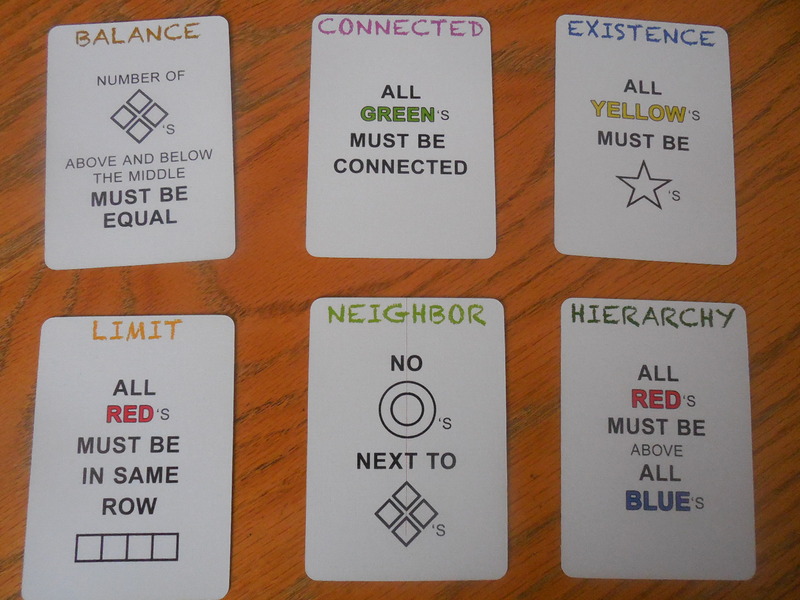 !, design, Game, playtest on February 10, 2016 by davidpeterking. 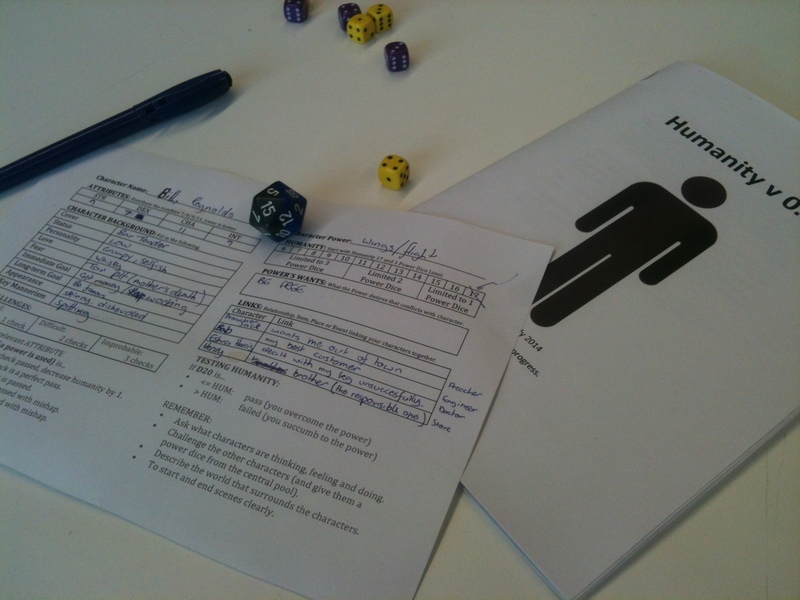 Yesterday I had the opportunity to playtest Humanity with some of the people at the London Indie RPG Meetup Group. The Setting: The American Old West (cowboys etc), and our powers were demonic related. Key locations: a saloon; a remote valley with tarpit; a cursed abandoned gold mine; stables, a sherifs office; and a railway. Current Events: A new sherif in town; a remote frontier town; women have just started arriving; cattle had been found mutilated; and their have been rumours about the mine going round. Obstacles: A native american tribe; outlaws; a zealous preacher; and wild animals. Our Group Goal: To make the town bloom. The Preacher Jack, whose power was flames/fire (the power wanted to see things burn). Bob the engineer, whose power was the understanding of physical objects (the power wanted complete power over everything). Esrah Harris the Doctor, whose power was mind control (… I can’t quite remember the powers want for Esrah). Bill Reynold the Saloon owner, whose could sprout wings and fly (the power wanted to be free from all responsibility). Henry Reynold the store owner, who was a lycanthrope (the power wanted to feed). The story revolved mainly around the local tribe who it turned out had been attacked by the outlaws and that is the reason they were threatening the town. The Preacher wanted to convert them to God, whilst Bill, Henry and Bob wanted to try to collect the bounty on their head. There was a brief trip down the abandoned mine, where a massive bear was found, plus some gold. In the end, Henry briefly became a spirit god to the tribe before succuming to his desire to feed on Bob who used one of his contraptions to kill him. The Preacher and Bill ended fighting over a large nugget of gold, Bill managing to grab it and fly away at the end. The Preacher and Esrah were left with a group of outlaws who had just had their mind blanked by Esrah. I got the general feeling that the game went well, there was some confusion over bits of the rules and it seemed like the current set up would suit multiple play sessions rather than a one-shot. 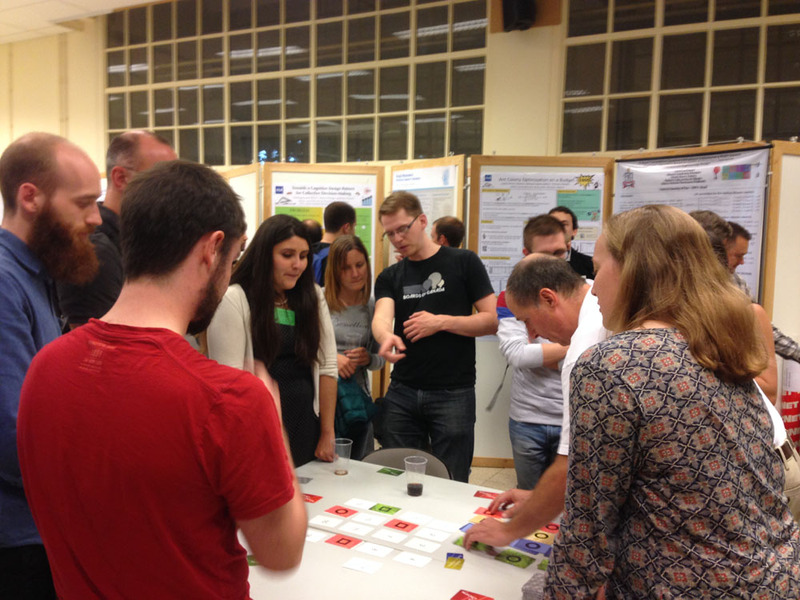 I think people had fun, but there was some great feedback which I need to look at more closely. High is Good, Low is Good: It completely slipped past me that when rolling Challenges high numbers are good and when rolling Humanity Checks low numbers are good. This is a relatively simple fix, I just need to change the order of the Humanity tracker. However, this has a knock on effect that as “Humanity” decreases the number representing it decreases. Perhaps the name for this stat needs to be changed to the “Powers Influence” on the character. Single Session, Multi-Session: When writing the game I had in mind that it would be played over a number of sessions, however the reality is that I’m most likely to test the game in single one-shots. 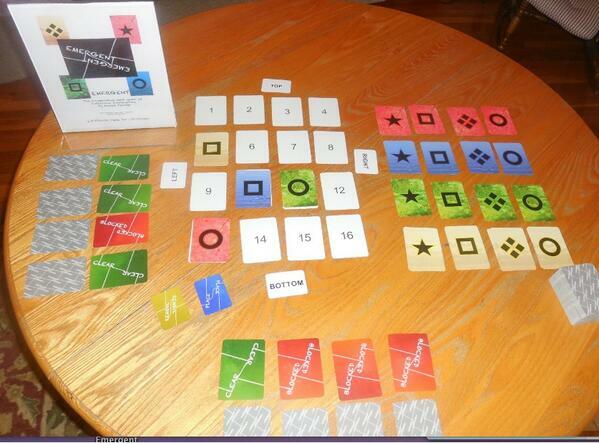 The rules need to be adaptable to reflect the playtime available. The main problem is that in a single session, the humanity level does not drop quick enough. Instead of a chance to lose humanity when using a power, you always lose humanity when using a power. Increasing the amount of humanity lost in line with how much over 20 is rolled, i,e, roll 21 lose 1 humanity, roll 22 lose 2 humanity and so on. Starting with less humanity when playing a one-shot. Loss of Control to the Power: It might be that it was a single session or that the humanity did not drop quick enough, but it seemed unlikely that the characters would lose the grip on themselves and act with the powers wants. A slight shift in the numbers might than the probability of this happening, I think it should be definitely be happening more. Scene Control: At the moment the scenes are very loose, there is very little control on what sort of things should be happening in each of the scenes and how they should be played. I’m thinking it might be interesting to consider each play session an episode, and follow a guided structure for each of the scenes, where certain elements are added and twists occur. This should help with the rhythm of the story. Who is in charge? : Not having a specific GM made some situations a little confusing, no one really had the voice of authority and it lead to people both describing what their character was doing and what was happening in the world at the same time, which is something that should be avoided. I think the solution to this is to rotate the GM for each scene, and their character is left in the background for that moment. I still want the other players to be able to add challenges but these should be simple and quick suggestions which the GM for that scene embellishes. Interrupting: Giving someone a challenge or humanity check was difficult, it felt rude interrupting someone whilst they are describing things. There needs to be some signal or protocol for giving someone a challenge. The best solution is likely silently passing someone a power dice and waiting for them to come to a natural stop in their little talk. Then introducing the challenge. Voluntary Failure? : It was suggested that it might be nice to have voluntary failure on certain checks. Which I think could work. I think the best way for this to work would be that you can lower the result of any roll but not increase it. This allows players to sometimes choose for their powers to gain influence over their character, or to allow more negative things to happen. This needs careful consideration. Character Background: I think there were too many things in the characters background to fill out about their humane side but perhaps not enough about the background of their power. I’m likely to remove the status of the character I think this is implicit by the nature of the character, I’m also considering reducing the immediate goal and long-term goal into just a single goal. I think there might need to be something about where I got my power added in. Attributes: At the moments the characters have different attributes which change how good they are at certain tasks, this change felt marginal at best. I’m tempted to reduce this to no specific stats/attributes, but just have a results table based on the dice roll. Another thing which might be interesting is linking the current capability of the character to their humanity level in some way. Mishaps: It is sometimes really difficult to come up with a way that a character can both succeed but at the same time have something also go wrong. I think further guidance is required in the rules for dealing with this, some sort of guide about the types of things that could happen, hints or prompts. Clarity: Somethings just were not clear, although this might be my explanation of the rules. The main issue that needs to be made clear is the conflict between the characters goals and the goals of the power that they are trying to control. This can maybe be dealt with with some character sheet design, giving a really strong emphasis on this matter. Not enough dice: Being limited to 1 power dice is not enough, they get passed around too quickly. I need to play with these limits and see what the effects are whilst considering the relationship with other stats.. There is certainly a lot to consider and implement before I draw up the next version of the game, but it certainly feels like it is going in the right direction. 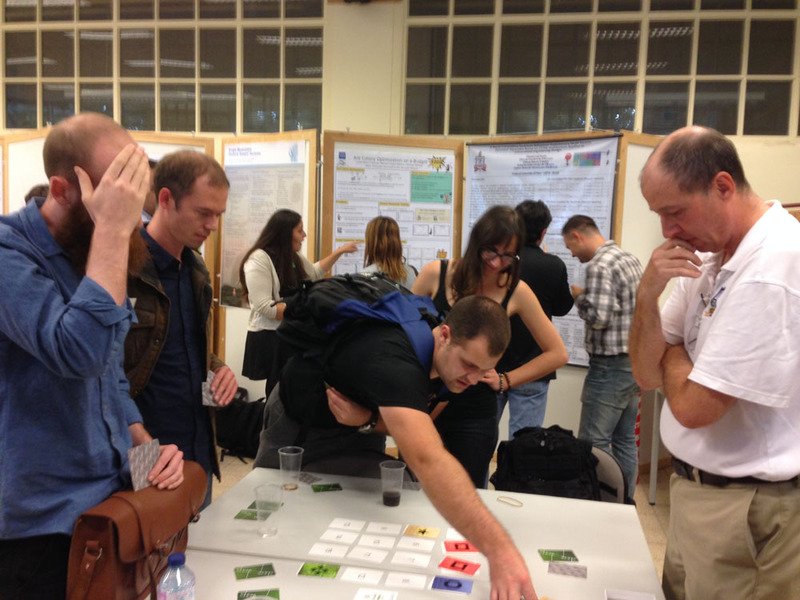 This entry was posted in Play, Practice, RPG and tagged Game, Humanity, London Indie RPG Meetup, play, playtest, RPG on August 7, 2014 by davidpeterking.